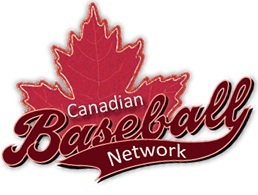 Congratulations to Mike Belliveau, Wyle Cunningham and Logan Seifrit on being named to the 2012 Spring Training Roster for Canada's Junior National Team (JNT). Along with pitching coach, Chris Reitsma, these athletes will be representing Alberta on the team, in a series of exhibition games in Florida from March 6th to 13th and again from April 14th to 21st. 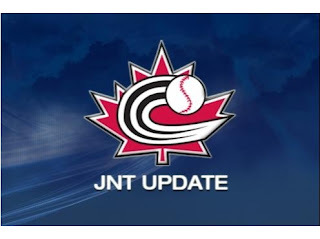 The Junior National Team will also be travelling to the Dominican Republic in late May, and in the summer and fall will compete in the World Junior Championships. For Seifrit, a pitcher from Spruce Grove, this will be his second opportunity to play with the team, as he was also on last year's spring training roster, and travelled with the team to Cuba and the Dominican. This will be a new experience for Belliveau, a catcher from Calgary, and Cunningham, a lefthanded Red Deer pitcher. The full roster can be seen here. We wish the best of luck to the Alberta participants, as well as the rest of the team.